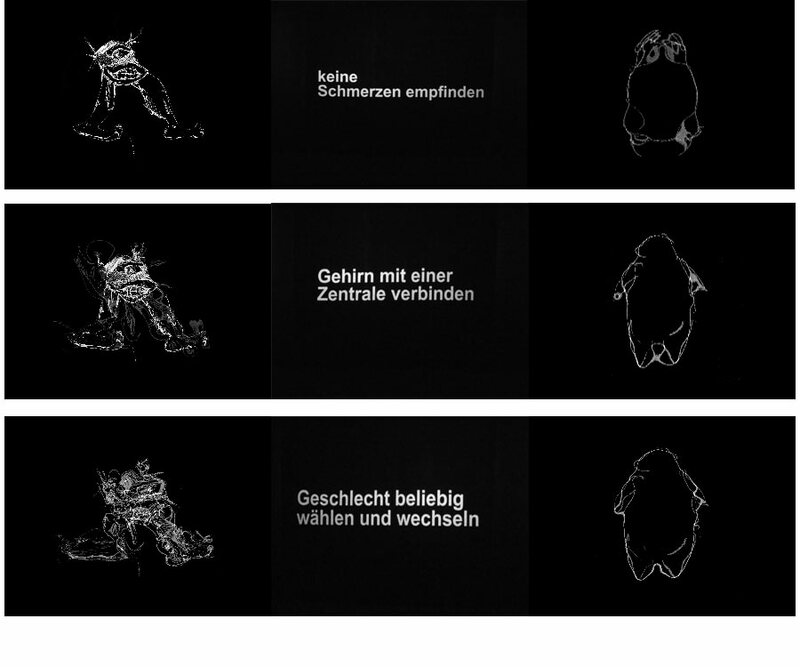 ‚Hybrid Figures‘ is based on the first results from the investigation of the field research of ISF – Insitut für sozio-ästhetische Feldforschung. People were questioned and invited to design and draw their visions of a potential existing form of their future bodies, on the premises, that they could be composed of only three body parts. 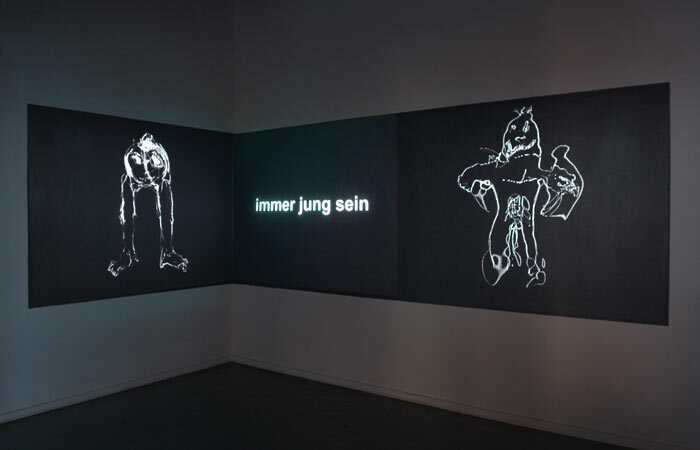 The drawings are classified by gender and phenotype. 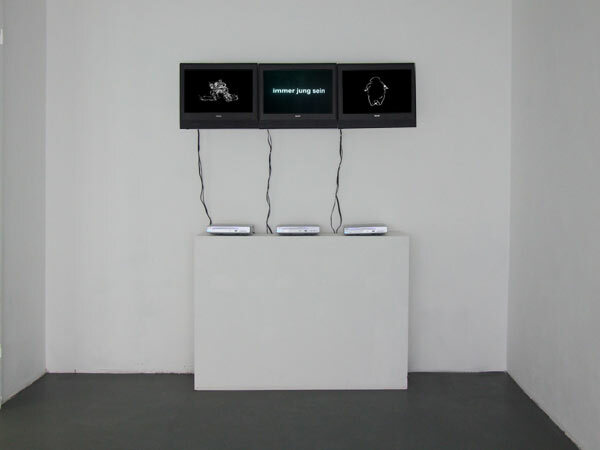 They were then transformed crosswise with one another by a digital morphing process and presented as a 3 channel video installation. The drawings mutate into fluid, constantly changing beings. 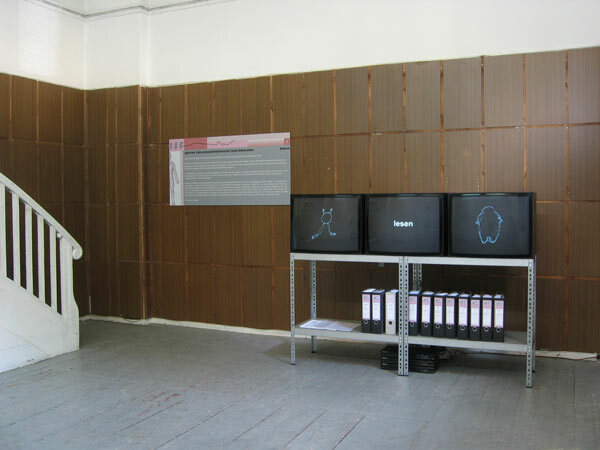 The drawings of the male test persons are presented on the left while the female respondents are shown on the right. In the middle of the triptych the wishes and requirements of the respondents toward the prospective creature appear allegorical. Due to the varying lengths of the loops, new picture-word combinations constantly emerge.